SIG has revealed that it had delivered a “robust” six month performance, despite variable trading conditions in Europe. The company which employs about 250 people over 11 locations in Ireland, has reported a pretax profit of £26.8 million for the first half of the year. 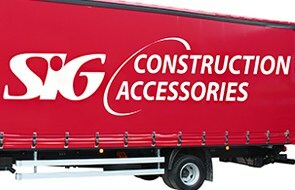 SIG, a distributor of specialist building products in Europe, has issued its half year results for the six months ended June 30. Group sales from continuing operations decreased 2.7 per cent to £1,243.6m, having been adversely affected by foreign exchange translation. Stuart Mitchell, the company’s chief executive, said: “The group delivered a robust first half performance against a strong comparative period, supported by continued good progress on its strategic initiatives. This was despite variable trading conditions in mainland Europe, increasing competitive pressures and a significant weakening of the Euro. The first stage of the group’s business transformation programme, to improve procurement, is increasingly embedded within SIG and delivering significant savings. The next stage, a review of our supply chain, is progressing well with findings to be presented towards the end of this year. Our outlook for the year is broadly unchanged although underlying market conditions are resulting in margin pressure, which will offset some of the benefit from our strategic initiatives. Assuming the improving sales trend in mainland Europe continues we expect to make year-on-year progress, with results H2 weighted as anticipated.